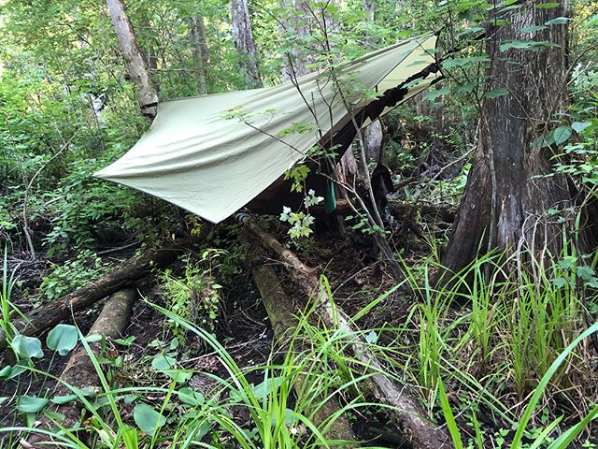 The explorers left the Disney Wilderness Preserve Monday, and were hoping to cross Interstate 4 two days later. But this stretch of conservation land along Reedy Creek is so overgrown that their schedule has been blown to the wind. Expedition leader Mallory Lykes Dimmitt says there's very little human footprint in this area -- even though they're within shouting distance of Disney World. "We start out at the beginning and say, 'OK, it's only three miles from here to this next stretch to a significant end, this possible end point or meetup point.' 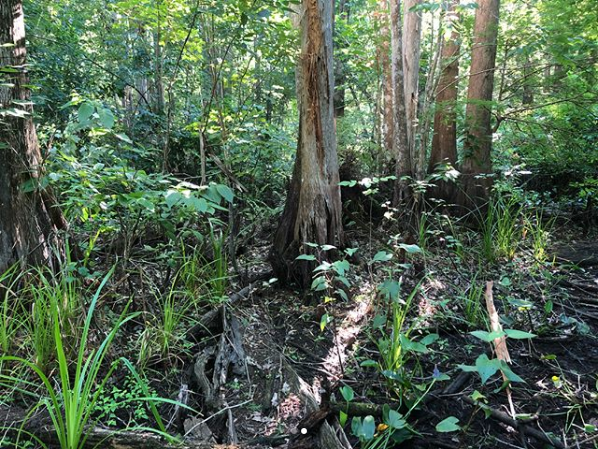 And yet that three miles turns into six miles of swamp walking -- and every mile is really slow," she said. They've seen river otters, cottonmouth snakes, and tracks for bobcats and raccoons. "But mostly, it's been snakes and alligators," Dimmitt said. Because the going is so tough, they're hiking about double the distance they had predicted during the pre-planning stage. The wildness of this place surprised Dimmitt -- as did the stands of poison ivy growing up seemingly every tree. "I did not expect it to be easy by any means, but, we've been calling it a 'suffer-fest,'" she said. "And the suffer-fest has maybe been a little bit more than I thought it would be. So I'm surprised that in these larger sloughs of public land, that there is not more human footprint." 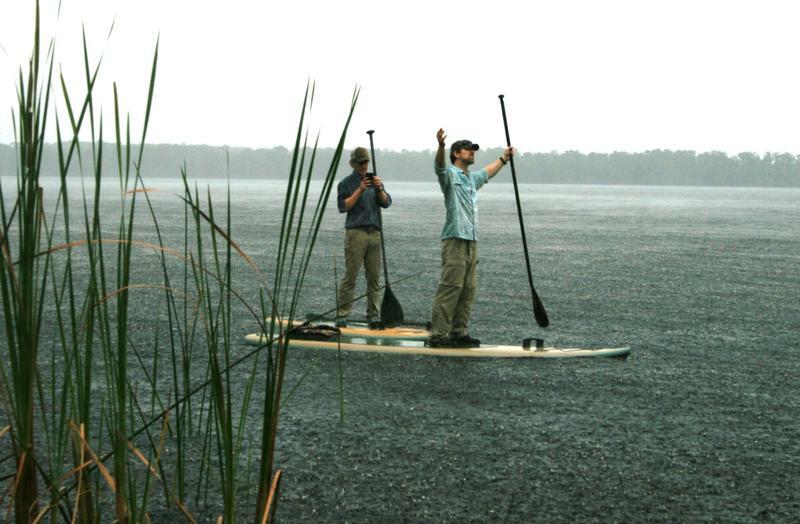 They paddleboarded along Lake Russell at the Disney Wilderness Preserve and at the mouth of Reedy Creek, but they've been hiking, because much of the creek is dry. Because the going is so tough, they're hiking about about double the distance they had predicted during the pre-planning stage. "It's definitely been mostly a hike and a scramble twisting through things. Our progress has slowed, because it takes us about twice the distance than to travel as the crow flies. So our actual recorded miles are double than what our goal was for the day," she said during a break in their "swamp-walking." The expedition's members are Dimmitt, Carlton Ward Jr., a noted wildlife photographer; and bear biologist Joe Guthrie. 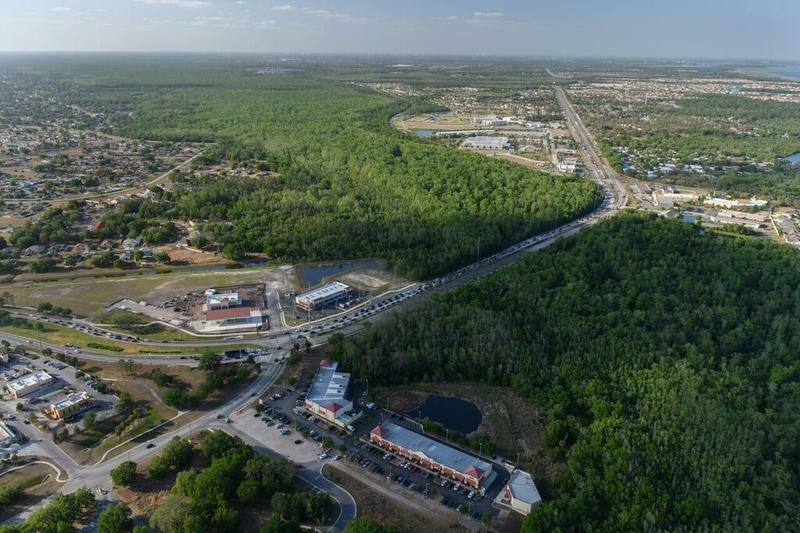 It was his tracking of a bear that migrated north from Highlands County and tried repeatedly without success to cross Interstate 4 that was the genesis for the first expedition in 2012. 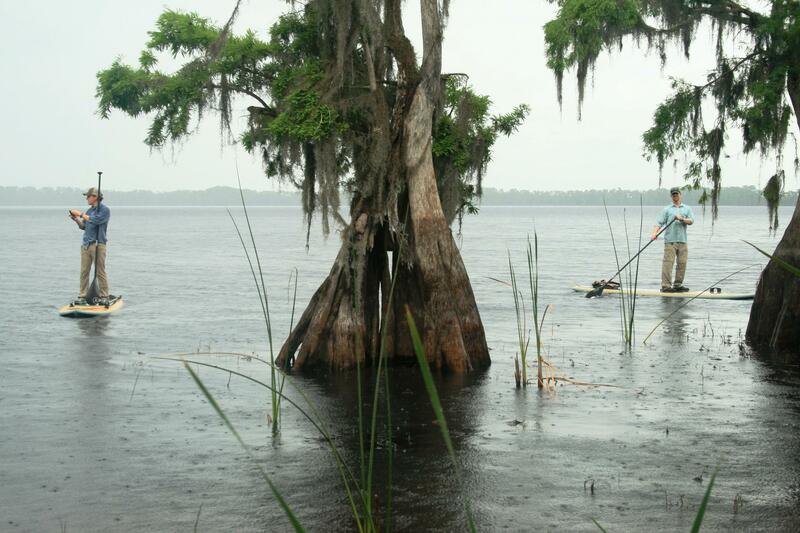 That trip went 1,000 miles from Flamingo, and the tip of the Everglades, north to the Okefenokee Swamp in Georgia. 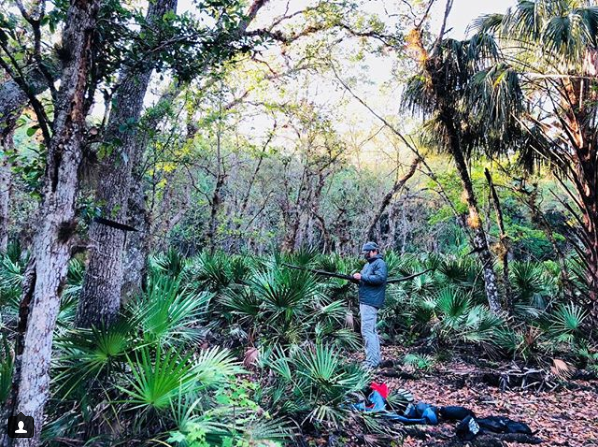 The group's weeklong mission brings attention to the need to protect corridors between preserved areas so wildlife can migrate through Florida.